Nestled deep within the wooded Catskill Mountains, alongside farmlands, ski lodges, and gurgling brooks, TheZone – Oorah’s summer camp for boys – can best be described as a wonderland. It’s far from civilization, but once you arrive you forget about how long it takes to get here. With its stunning views, recreational activities, deluxe accommodations and tranquil lake, there’s a certain serenity that settles upon everyone who comes here. No wonder so many gather at TheZone for Yomim Tovim, for Chanukah, for retreats, and for countless Shabbosim throughout the year. It’s a happy little world unto itself. 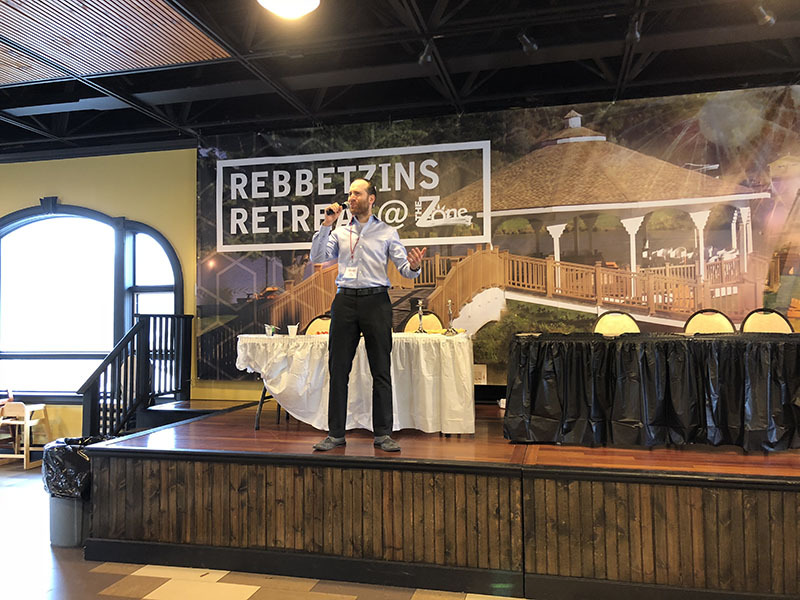 I arrive to join the many mentors, shadchanim, and singles for the annual Rebbetzins Retreat, one of Oorah’s celebrated Shabbos programs. The weekend is well organized, offering an intriguing program as well as opportunities to connect with others. Even table placements for the Shabbos seudos are painstakingly arranged. If I was expecting to see a singles weekend filled with young people milling aimlessly about, I was wrong. Instead, I am witness to an outstanding Shabbaton filled with inspiring sessions, workshops, and a healthy dose of chizuk. There are 40 rebbetzins at the retreat this weekend and about 300 singles. There are also about a dozen shadchanim joining for Shabbos, including R’ Tzodek Katz. All are here with a sense of purpose and determination. And, of course, they will also experience a relaxing and rejuvenating weekend. Rabbi Chaim Mintz, founder and spiritual leader of Oorah, speaks about the spiritual significance of the mitzvah of marriage at Kabbolas Shabbos. Rabbi Ozzie and Mrs. Rachel Burnham tell us about their own dating experience, a story sprinkled with healthy doses of humor and inspiration. The process may not be easy, they indicate, but Hashem can make it happen. A gala Kiddush on Shabbos morning is followed by “Ask The Rabbi,” during which Rabbi Mintz fields questions in an open forum. Occasionally, the questions reflect frustration with the shidduch process: Why do men only want to date younger women? Why do women prefer dating men who are financially secure? But Rabbi Mintz patiently answers them all with care and understanding. 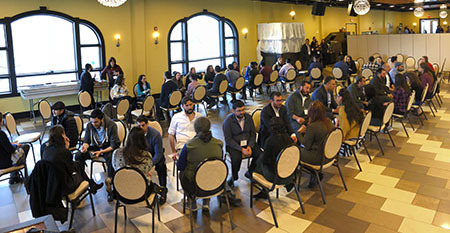 A panel of distinguished mental health professionals speaks during lunch offering guidance on dating to a ballroom filled with singles who want to do it right. Participants come from all over the world. I meet the chic and accomplished Sharoll who lives in Bolivia. She joins us this weekend quite by chance. “I googled ‘Shidduch New York’ and this website came up,” she explains. After an interview with Oorah staff, Sharoll was invited to join.